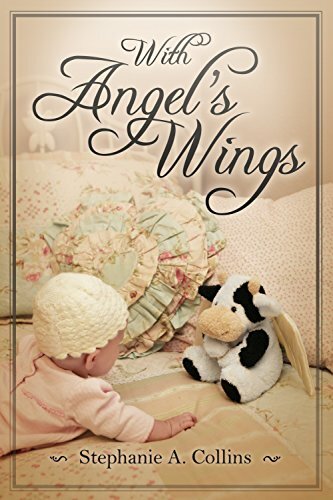 With Angel’s Wings, by Stephanie Collins, is one mother’s raw and heart-wrenching account of her life with two daughters with special needs. 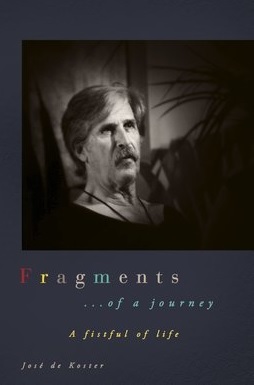 Written as a third-person account with name changes, the author describes each and every obstacle encountered as she struggled to come to terms with her daughters’ challenges while simultaneously dealing with a long string of physicians, specialists, and therapists. Laura, as the author calls the young mother, fights an uphill battle from the moment she is told her days-old infant has a heart defect–the first of many. While facing a seemingly unending barrage of personal hurdles, Laura somehow learns to cope with the endless physical and emotional demands placed upon her family by tiny Hannah’s diagnosis of Wolf-Hirschhorn syndrome. This author’s life story as a work of fiction is almost indescribable. I do not believe I have ever read a book that kept me as breathless and as anxious as this one. Laura’s laundry list of traumatic events ranging from her newborn’s purple feet and hands to her seizures lasting for hours on end is mentally exhausting to read. Her life is so full of twists and turns and drama surrounding Hannah’s diagnosis and subsequent health scares, the author has no need to embellish with flowery language and lengthy stretches of narrative. There is, literally, no room or time left to dress up her text. This book reads as a journal of heartache peppered with true love. Collins is honest and open with her feelings about her daughters’ diagnoses. As Laura, she sugarcoats nothing. As strong as she is, Laura reveals her vulnerability as an overwhelmed young mother. The reader aches to watch her contemplate, time and again, a way out. Her frustration as a parent fighting her way through the healthcare system is one with which many readers will be able to relate. In addition to her day-to-day battle with fevers, seizures, hospital visits, and mounting financial woes, Laura faces the virtually indescribable audacity of an ex-husband who lacks not only both sympathy and empathy but a soul, as well. As a parent and a teacher, I have never read a more authentic and touching account of life as a mother or a more revealing account of what caring for a child with special needs truly entails. Emily’s early signs of autism hit home with me as a teacher. No one knows the struggle of helping a child on the autism spectrum like a parent. Laura begins accommodating for Emily’s needs long before her diagnosis. She modifies, plans, and tries to remain several steps ahead of meltdowns from early on in Emily’s life. Parents of children with autism will appreciate reading about the way Laura intricately weaves a web of plans on a daily basis to compensate for Emily’s developmental delays. Though the book is primarily focused on the battle to save Hannah and come to grips with her many needs, the author does a beautiful job of illustrating the relationship Laura develops with Daniel. Daniel, the one shining light in her darkest days, is a rather unlikely saviour. Their love, apparent from early in their friendship, is one that only intensifies through the rigors of identifying and finding ways of successfully coping with all Emily and Hannah’s needs. There aren’t any options for stars beyond 5, so I am restricted to giving With Angel’s Wings 5 out of 5 stars. The author’s life story, now Laura and Daniel’s as well, is an absolute must-read for any parent, teacher, or caregiver of a child with special needs. There is a love like no other born out of a relationship with these children, and Stephanie Collins has handed readers everywhere the key to unlock hearts and minds and build a better understanding of the struggles faced by many of our family members and friends who have children with special needs living lives like Laura’s. Posted on December 19, 2017, in Book Reviews, Five Stars and tagged amazon, amazon books, amazon ebook, author, baby, book, book review, books, child, diagnosis, ebook, ebooks, family, fantasy, fantasy book review, fiction, friendship, goodreads, hospital, kindle, kindle book, kindle ebook, literature, love, medical drama, medical mystery, mother, mystery, novel, parenting, personal, publishing, reading, relationship, review, reviews, romance, seizure, shelfari, sick, special needs, stephanie collins, stories, syndrome, true love, true story, with angels wings, wolf hirschhorn, women, writing. Bookmark the permalink. 1 Comment.